Power meters are currently ones of the most desirable training tools among advanced cycling amateurs. 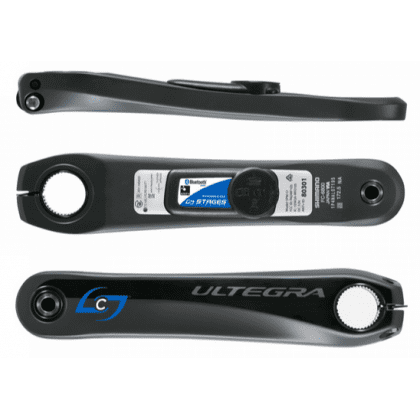 It is no wonder that manufacturers of such devices launch newer and newer models, and an average user has to possess at least some basic knowledge on riding with a power meter to be able to take advantage of the benefits of such a device. Below you will find a brief guide to power meters. The part one of the test includes reviews of STAGES, POWERTAP, and POWER2MAX. STAGES - no matter what, one thing is certain - this power meter has rocketed into the market and brought about reduction in prices of competitive devices. Its functioning is based on a sensor located on the left arm of the crank; the sensor doubles the force on the left arm. The new generation of STAGES has gone through significant modifications (such as slimmer housing, more water- and dust-tight battery compartment, or extended time of the meter’s operating). Nevertheless, it is a pity that the measuring mechanism itself was not changed. Frankly speaking, I did count on a real revolution and the meter’s winning the market by adding another sensor on the right arm of the crank and synchronizing the measurement. The precision of the power meter is acceptable, especially for those who are at the very beginning of their experience with power measuring. This solution is much more effective than rides based on heart rate, yet for mathematicians and very precise people the results of the measurements may be disputable. The difference in the generated power between the left and right leg varies from person to person. With regard to an energetic zone, the variations in the balance between the left and right leg are diverse. They change in the course of a training session and a variation (the release of power) is individual for each and every person. What is more, the conclusion saying that the closer to the FTP, the more leveled out the balance between the right and left leg is, is not a rule. Figure 1 Distribution of power for left and right leg from Garmin Vector 2 during a 30-minute FTP test. Nevertheless, STAGES has become very popular thanks to, among others, its excellent weight (ca. 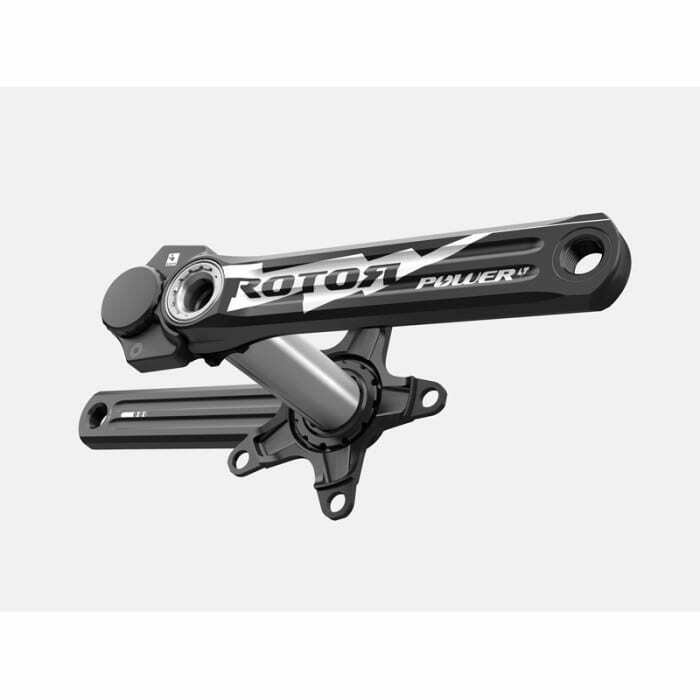 15-20 gram), being easy to operate (install-and-forget), and a wide selection of arms for both road and MTB cycling. The warranty service functions very efficiently; in majority of cases the faulty power meters are replaced with new ones. Both orders and complaints are dealt with in an extremely short time, and the quality of customer service is at a very high level. In the previous generation of meters, there were some common problems with the battery compartment, broken tabs, damp contacts, flooding, or broken battery door - a vast amount of the faults was caused by users. The current, new generation is much more effective. When a user replaces his power meter from a competitive company with a STAGES one, it is crucial for the user to define his or her FTP anew. 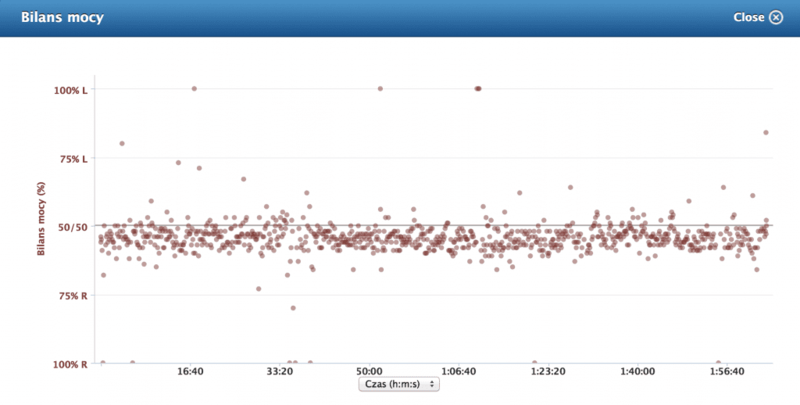 The watts seem to be generated more easily than those generated using for example a PowerTap device. The average discrepancies amounted even to 20-30W (more) in comparison to a hub power meter. As usually, I recommend performing calibration of the meter prior to more important training sessions or FTP tests. Calibration consists in setting the left arm at 6 o’clock position when the bike is immobilized. The entire process can be carried out from a meter, e.g. Garmin, or a smartphone with STAGES application. The value of torque for correct watts should range from 840 to 930. The firmware upgrades are also conducted via mobile phones using Bluetooth. POWERTAP - an absolute classic. It was one of the first power meters to be used by majority of Polish cyclists who were just beginning their experience with measuring power in a reliable matter (not to mention Polar system at the rear chain stay or SRM for philanthropists and sponsored athletes). As an ex-user of PowerTap, following my 6-year experience with this power meter, I can say without any doubts that, when the meter is probably calibrated, the data from the older generations of hubs will be as reliable as the data from current models (GS, DT). The readings will however be lower when compared to measurements from the crank, arm, or pedal-based systems (such as Garmin). The losses on the hub are the most significant ones; however, the fact is that the PowerTap power meter is precise and repeatable. Before every training session, and especially before FTP tests, the meter should be calibrated. With regard to PowerTap, the torque value ought to range from 495 to 530, thus, for example, the 509 value means that we generate proper watts and our torque offset is correct. One of the weak spots of this power meter is the freehub of low quality resembling Novatec products from previous years. Models manufactured in the year 2010 and older ones were much less tight, and the tensometers were more prone to decalibration (especially with regard to the MTB model). Losing the torque offset during rides at low temperatures and the long calibration time are probably the effect of poor functioning of the temperature compensation sensor. The current G3 series models and the DT ones function very quickly and effectively; all the electronic systems are cased in a sealed chip mounted on the left side of the hub casing. Servicing and any potential calibration are also trouble-free, however, the time of replacement of the meter itself is slightly longer than in case of replacement of e.g. a STAGES meter, and it takes on average about 7-14 days. The cost of calibration of the meter is about EUR 60, and the meters are serviced in the Czech Republic http://www.cycleops.eu. If you want to begin your experience with power measuring with a PowerTap meter, you will not be disappointed. It is for sure a good and reliable brand. 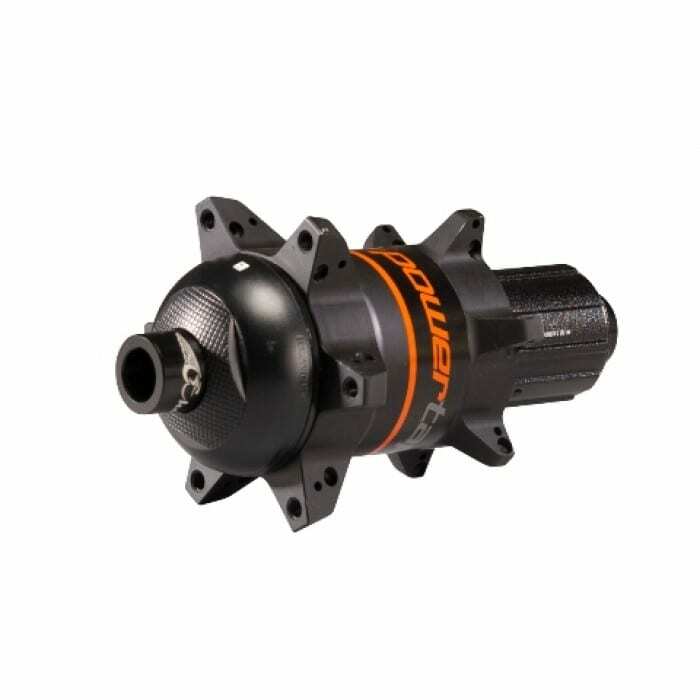 If you do not mind wheel building and a slightly heavier hub, PowerTap will be an excellent choice. Total score in the range of 1-6 (5). POWER2MAX - Tempted by favorable opinions on Power2max, I decided to buy it. Having consulted the customer service department and chosen the most suitable model for Canyon CF SL, I finally bought Power2max REX 3.2. In my opinion the customer service, entire process of purchasing, and contact with the company were quite good (service of the highest quality is provided by STAGES). 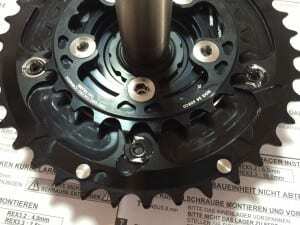 When I received the meter, I began to assemble the elements such as the crank, meter, and Rotor’s chainrings. The left arm with a spacer between the support and the arm visually enlarged the Q-factor, although the Rotor’s arm itself is not as bent as e.g. 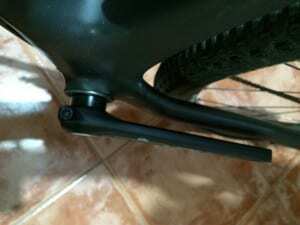 the Shimano XT; the technical data indicate that the difference is merely 1 mm. 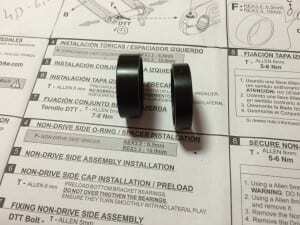 Yet, it was the Rotor’s bolts I ordered together with the meter and chainrings that turned out to be a real problem. They were too long, so tightening them to the crank with the required torque of 5-7 Nm occurred to be problematic. 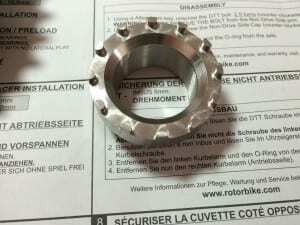 The bolts in the chainrings tended to turn, and the entire set turned out to be incompatible with the crank. In the meantime, Power2max sent the proper bolts and a new Rotor’s special tool (the previous one was a 30 mm instead of 24 mm). Riding with too long bolts made it more difficult to generate watts, thus the average subjective power seemed to be underrated by ca. 50 W. The test will be continued when proper bolts are tightened to the Rotor’s chainrings, and it will probably be a part of a separate article. To be continued... Total score - none. In the Part Two of the article you will read, among others, about Rotor, Quarq, and SRM power meters.